I suggest that stars introduce mass and density scales that lead to `naturalness’ in the Universe (paper posted to the arXiv). The combination of the stellar mass scale with the Planck mass and the Chandrasekhar mass leads to a ratio of order unity. In the pure fundamental particles domain there is no naturalness; either naturalness does not exist or there is a need for a new physics or new particles. The `Astrophysical Naturalness’ offers a third possibility: stars introduce the combinations of, or relations among, known fundamental quantities that lead to naturalness. In a superb course in astrono my, Phil Plait lectures in a series of tens of 12-minutes long episodes on all topics of astronomy. In episode #30, White Dwarfs & Planetary Nebulae: Crash Course Astronomy #30, he mentions (7:20 minutes) my idea that many planetary nebulae might be shaped by planets. Phil Plait was my master student (University of Virginia, 1990), and we studied the planetary nebula NGC 6826 seen here. I propose that some irregular `messy’ planetary nebulae (PNe) owe their morphologies to triple-stellar evolution where tight binary systems are tidally and frictionally destroyed inside the envelope of asym ptotic giant branch (AGB) stars. I estimate that about one in six non-spherical PNe is shaped by one of these triple-stellar evolutionary routes. See paper. Such is the PN on the right NGC 6210 taken from the HST site. Amit Kashi and I posted a new paper where we add the group of ILOTs as a new member of a large family of astrophysical objects whose activity is regulated by the operation of the negative jet-feedback mechanism (JFM). 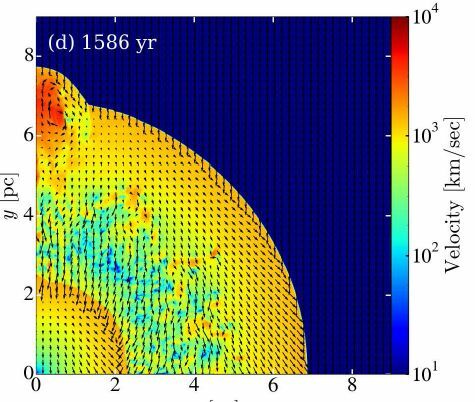 Using 2D numerical hydrodynamical simulations of type Ia supernova remnants (SNR Ia), PhD student Danny Tsebrenko (Portman) and I show in a new paper that iron clumps few times denser than the rest of the SN ejecta might form protrusions in an otherwise spherical SNR. Such protrusions exist in some SNR Ia, e.g., SNR 1885 and Tycho. Iron clumps are expected to form in the deflagration to detonation explosion model of white dwarfs. For a possible alternative explanation, see news item from November 2014. See news item in New Scientist. Shlomi Hi llel (PhD Student), Assaf Sternberg and I argue that the intracluster medium (ICM) of the cooling flow galaxy group NGC 5813 is more likely to be heated by mixing of post-shock jets’ gas residing in hot bubbles with the ICM, than by shocks or turbulent-heating. Heating by mixing rescues the outer ICM of NGC 5813 from its predestined fate according to cooling flow feedback scenarios that are based on heating by shocks. See Paper. 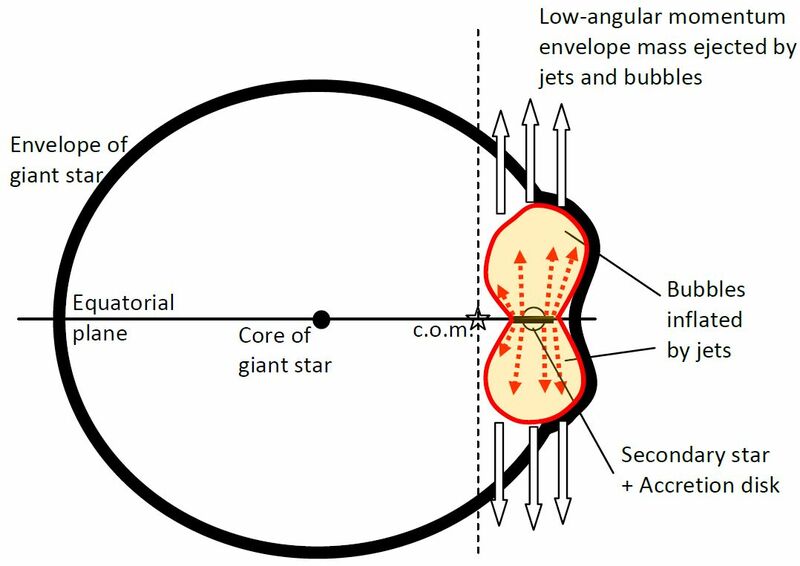 Sagiv Shiber (a master student), Ron Schreier, and I argue that magnetic fields amplified within a very high accretion-rate disk around main sequence stars can lead to the formation of massive bipolar outflows that can remove most of the disk’s mass and energy. 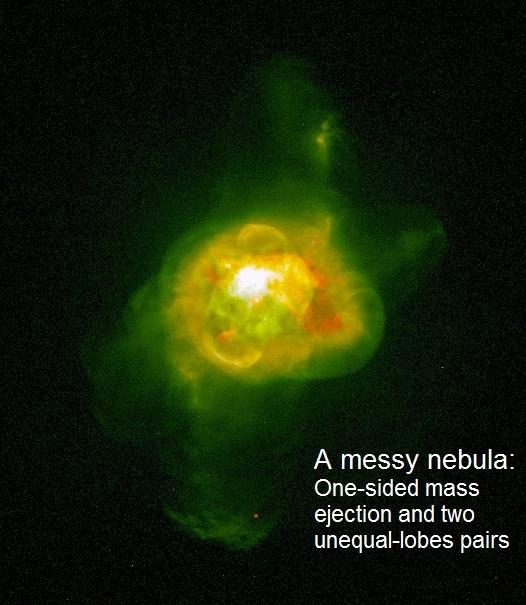 Such energetic outflows can account for the powering of some eruptive objects, such as merging main sequence stars, major eruptions of luminous blue variables, such as the Great Eruption of Eta Carinae, and other Intermediate Luminosity Optical Transients (ILOTs: see the ILOT site). 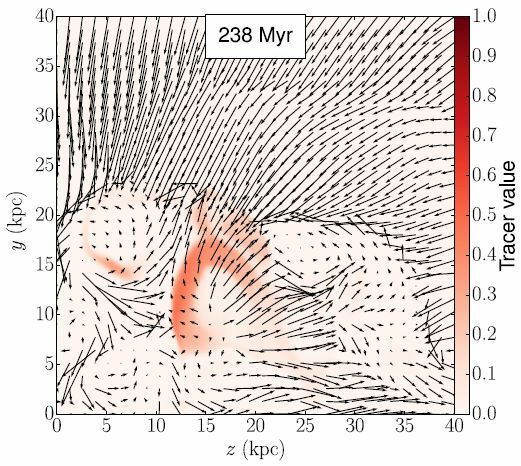 Such powerful outflows can also supply the extra energy required in the common envelope process and in the grazing envelope evolution of binary systems where the companion is a main sequence star. Paper was posted on astro-ph.